Cobras, GT40s, and everything in between. Well, it seems writing a book takes a toll on available keystrokes per day. Not only has time been poured into producing literature, but also research and general focus. 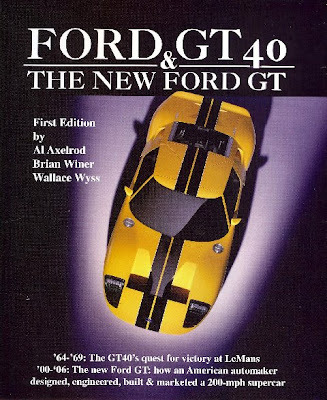 Several stories were put on hold, and may be irrelevant now, and for this I apologize, but in exchange, you will soon be able to pick up 50 chapters of automotive treasure hunting. Barn Find: no two words are more exciting to a car collector. All over the world, car collectors compete for that ultimate find—a rare model car forgotten in a barn and covered with dirt and boxes that can be bought for a song. If it's the right car, it can make you a fortune. This book is about just some of those barn finds—the $2 million Corvette prototype given away to the first person who asked; the mysterious Oldsmobile “dream car” found dismantled in boxes; the one-off mid-engine Cobra, and most prized of all, the “dream cars” of the 1950’s - documented concept cars that once graced the revolving platform of the world’s auto shows. Barn Finds also reveals the cars that are still out there, unaccounted for, and waiting to be found – maybe in a barn very near you! 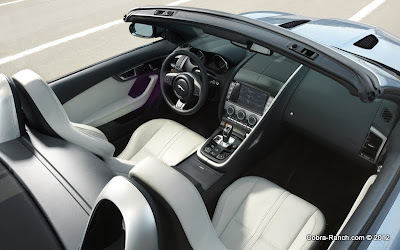 Coming in Summer 2013 is the Jaguar F-Type starting at $69,000 USD. 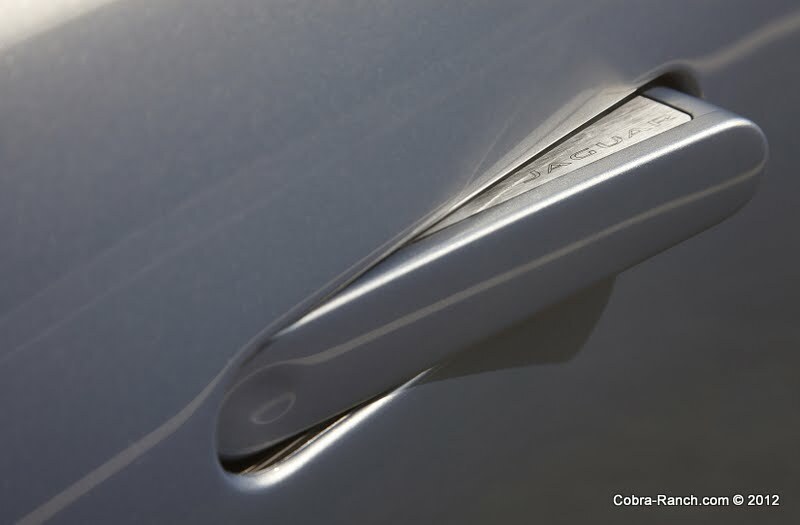 The F-Type introduces a new sports car design language for Jaguar, with bold, clean lines accented by the discreet use of technology; including a deployable rear spoiler and hidden door handles. Although similarities between the F-Type and the legendary E-Type can be seen, notably in the grill, the F-Type stands firmly on it's own. 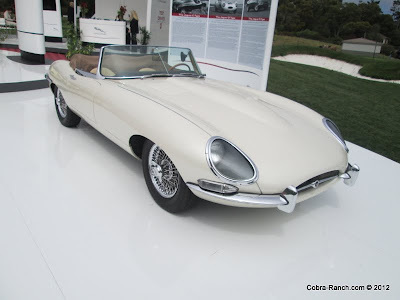 Nearly polar opposites, the E-Type is graced with many soft curves and glass covered headlights often found on performance cars of the era; while the F-Type ripples in masculinity and aggression. The F-Type starts at $69,000 for a 3 liter supercharged V6 at 340 HP, while the F-Type S moves buyers up to 380 HP at $81,000; and finally for those that demand the best: the F-Type V8 S weighs in at 495HP thanks to a 5 liter supercharged V8. The F-Type V8 S can be had for a supercharged $92,000 USD. Jaguar wowed Americans with the F-Type's physical beauty for the first time in person at the L. A. Auto Show. 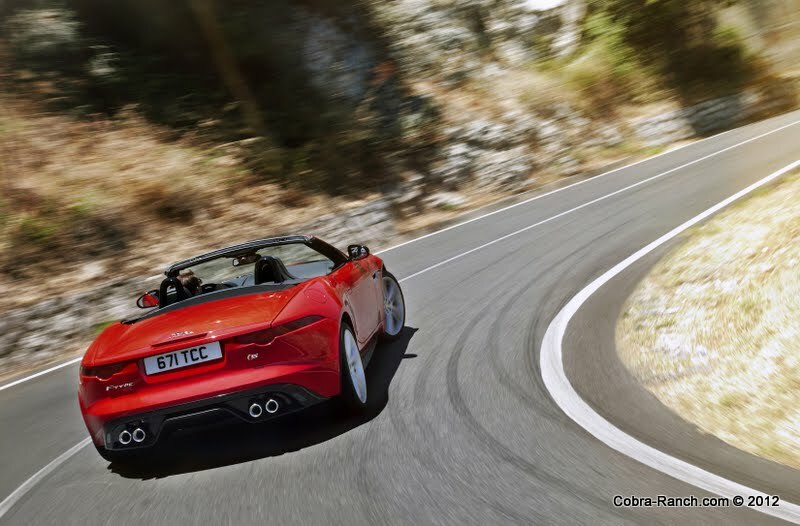 Aside from it's intriguing lines, and glitzy paint, the F-Type offers impressive performance both on and off the track. Show off on your Sunday drive as the F-Type deploys the convertible top within 12 seconds at speeds up to 30 miles per hour. No longer must you wait at a lengthy red light to grab some attention. If you're looking to impress with sheer speed rather than eye catching glitz and gizmos, the F-Type accelerates 0-to-60 in 5.1 seconds, 4.8 for the S model and 4.2 for the V8 S. The V8 S has a top track speed of 186 mph. Maintain stability at these speeds thanks to the fact that Jaguar constructed the F-Type on the fourth generation of lightweight aluminum architecture. Torsional and lateral stiffness have been prioritized to maximize handling agility. Jaguar offers a driver-focused interior that melds a classic sports car feel with high-tech controls. Inside you will find some of the most supportive race enthusiast sports seats outside of a racecar wrapped in an expected abundance of leather. Sadly, leather's old friend wood, is nowhere to be seen. Hopefully they can be reunited given a trim option at the dealership later next year. In regards to function over form, Jaguar has included the Configurable Dynamics program that allows the driver to tailor a number of the dynamic features to personal taste, and includes displays for lap timer and G-meter functions. In an effort to aid drivers with tightening lap times, all engines drive through an eight-speed ‘Quickshift’ automatic transmission, with a center console-mounted SportShift gear selector, and steering wheel-mounted paddles for full manual control. While the cockpit is fitted with gadgets galore, the passenger seat's most noted feature is the rather enormous grab-handle. Large enough to satisfy even the most weary of grandmothers, it will more than likely serve its purpose when Nana asks you to take her for a ride in the new car. Hopefully she appreciates the ascent to 186 MPH, and allows you to clock in a second lap with that new timer of yours. For enthusiasts looking for classic appeal, the F-Type poses several concerns. One problem is that Jaguar has laced a clean design with what may amount to commonplace clichés. Despite being eye catching today, the LED trim lining the headlamps will find competition as more manufacturers release new models with same pattern. Similar lighting can already be found on the yet to be released NSX, BMW's i8 concept, and Honda's concept EV-ster. When auto accessory stores are selling LED trim kits to retrofit older models, eventually we'll see 40-year old 240Z Datsuns lining their headlights in LEDs. Perhaps automakers who jumped on this design trend will later regret it. Another sore spot for purists are the big air intakes; almost large enough to propel a small aircraft. Such intakes can be found throughout the industry, even on Buicks. Adding nonfunctional vanity vents that do nothing for the brakes is painful. We can only hope that these vents are in fact purposeful and that Jaguar did not cheapen this model like a teenage abused Honda Civic. More vents can be found on the hood. Although unable to tell if they are functional, it would have been comforting to see them in chrome, or at least polished metal or carbon fiber to tie in to the trim of the wheels. From the side, this Jaguar looks like a jungle cat ready to pounce, rather than a cigar floating down the street. Despite this, the swollen stance of the rear fenders is made companion to the cliché ledge along the lower panel of the doors. A styling effect that may not bother buyers at the dealership, but may later cross their minds as they run along side similarly styled Mustangs on the highway. 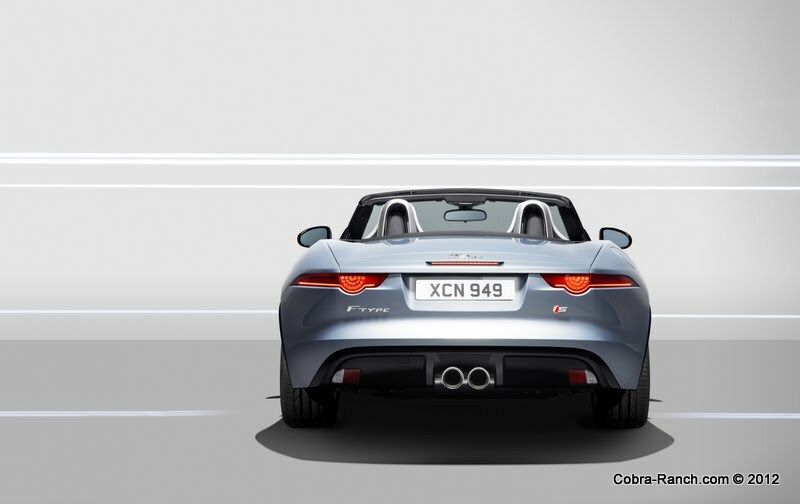 With it's U.S. starting price, the F-Type could siphon off sales of its own larger stable mate, the XKR. Jaguar could potentially offer a manual shift version allowing it to compete with other sports cars still offering manual shift; however, without first driving the machine to get a feel for the Automatic QuickShift technology, one has to wait before critiquing the automatic. One must see this car in person to appreciate it. Press releases and computer assisted photography do not do it justice; nor do they capture the way light reflects off the lines of the car, or the near luminescent paint job. The F-Type could easily compete with the Porche Boxster for the hard earned dollars of potential buyers next summer; ultimately vying for prowess on the streets of Rodeo Drive, rather than on racetracks. At one third the cost of a similarly proportioned Ferrari California spyder, buyers could have their F-Type and still retain enough pocket change to spend the night on the town. 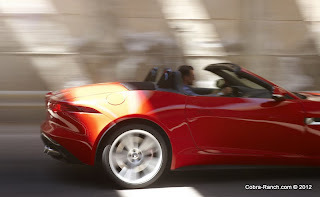 Smaller than the current XKR convertible, the F-Type is not your gentleman’s sports car. Rather than cigar shaped elegance spanning the length of the vehicle, the F-Type offers Jaguar luxury wrapped in a body that appears to be the hell spawn of a deep sea filter feeder and a jet fighter. Despite breaking away from what may have landed the E-Type as one of the top 100 most beautiful cars of all time, this car is sure to please anyone looking for a car with class and double agent style, without having to have an MI:6 budget. 1:15PM on Saturday, December 8. Shelby the Man. The Cars. The Legend.